Every holiday season, we struggle to find the perfect gift for my father-in-law. This season, we are excited to say that we have nailed it with the help of Raw Spice Bar! Any cook in your family is sure to love it. 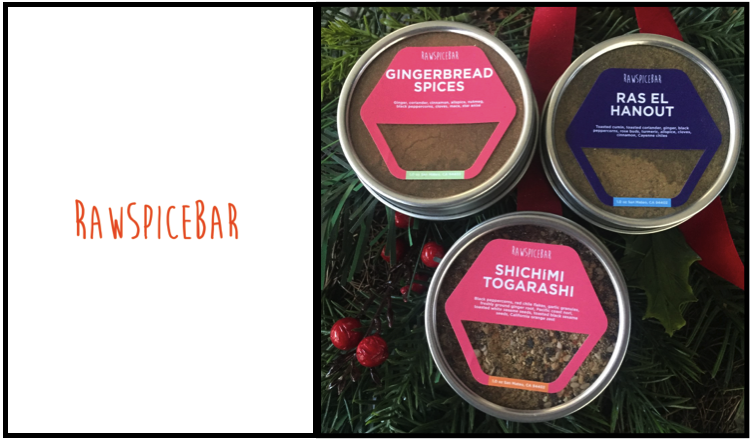 Raw Spice Bar offers global spices, spice subscriptions and spice gifts that are freshly ground and salt-free. Whether you're looking for creative stocking stuffers to meet each person's unique tastes, or a gift subscription of spices that change seasonally, Raw Spice Bar is a fun, festive gift that will stand out above the rest. Check out three of our own stocking stuffer picks below! 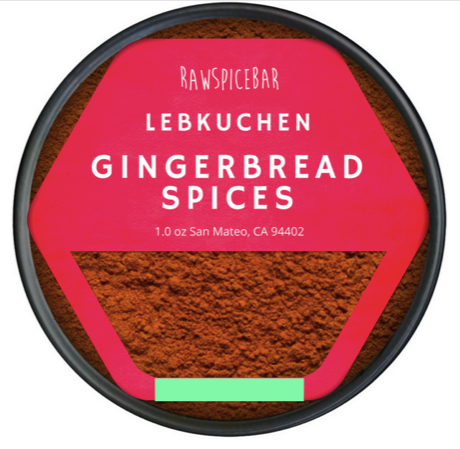 Gingerbread Spices: This is the holidays in a container! 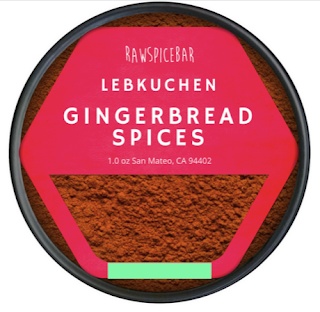 As soon as you open the tin, the savory gingerbread spice blend floats out. Add it to pancakes, waffles, coffee, cookie batter, roasted veggies and more! Raw Spice Bar even provides special recipes for each spice. Try the Gingerbread Spices recipes for the holiday season. 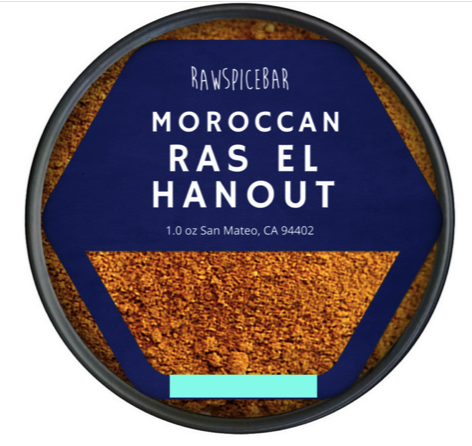 Ras El Hanout: Our family loves Morrocan food, but the right spices can be tricky to find. We were really excited to see that Raw Spice Bar offers this spice, which translates to "top of the shop" in Arabic. We love to incorporate it into our signature eggplant and sweet potato dish with stewed tomatoes, but it also livens up couscous, grilled lamb, chicken dishes, and harvest vegetables as well. Get cooking with recipes for every diet: Ras El Hanout recipes. 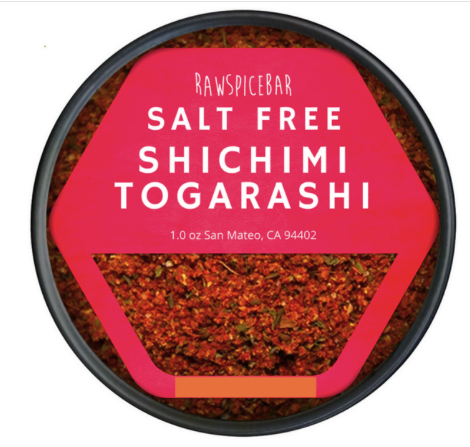 Shichimi Togarashi: This Japanese spice blend brings a fresh, simple taste to meats, noodles and rice dishes. It's got a nice balance of savory and citrus flavors with a kick of heat that adds to the complexity of the dish without becoming too spicy. Head over to rawspicebar.com to browse their gift sets and individual spice blends, or consider a subscription for the gift that keeps on giving! Disclaimer: The products in the post were provided by Raw Spice Bar. As always, our posts are our own opinions.